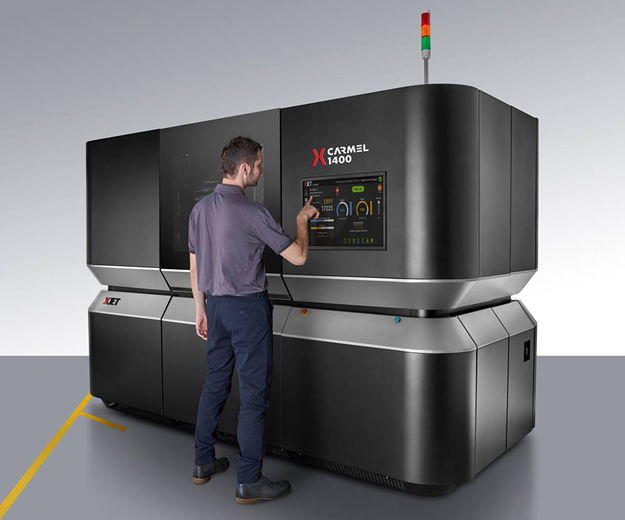 Rehovot, Israel – April 4, 2018 – XJet Ltd., the additive manufacturing company, has announced today that installation of an XJet Carmel 1400 AM System has been completed at Youngstown Business Incubator (YBI), Ohio. The system is the first in the US and will deliver previously unheralded levels of detail and accuracy to researchers at Youngstown State University, the entrepreneurs at YBI, as well as the America Makes partnership program collaborating with YBI. Home to America Makes,the Youngstown Business Incubator is a leading university-associated incubator for businesses in Ohio. YBI supports the development of successful digital businesses, advancing women’s and minority entrepreneurship, and furthering advanced manufacturing technologies, such as additive manufacturing. America Makes is the nation’s leading collaborative partner in advanced manufacturing and 3D printing technology research, discovery, creation and innovation. Installation of the Carmel 1400 AM System took place in January 2018 and went live within a day or two. “We were pleasantly surprised by how easy it was to get the piece of equipment installed. The team has been tremendously supportive and really worked through all of the issues so that it was truly a plug-and-play process for us,” says Ewing. XJet will host an open house event at YBI on May 1st, 2018. To reserve a place at the open house, please email alon.ziv@xjet3d.com. This entry was posted in News and tagged Additive Manufacturing, America Makes, Barb Ewing, Hanan Gothait, inks, Mike Hripko, NanoParticle Jetting™, Rob Gorham, XJet Carmel 1400 AM System, XJet Ltd., Youngstown Business Incubator, Youngstown State University by AM. Bookmark the permalink.